Cycle Progress Is believed to be the best sire of type, and total Buelingo quality ever raised by DCCI. He is an outcross bull sired by one of the most famous Limousin sires of all times, Wulf's Polled Progress. Wulfs Polled Progress was a breed leader in easy calving, carcass quality and maternal EPD values. (Wulfs Polled Progress was discredited in the Limousin industry for calves with random white markings.) Cycle Progress is homozygous poled. 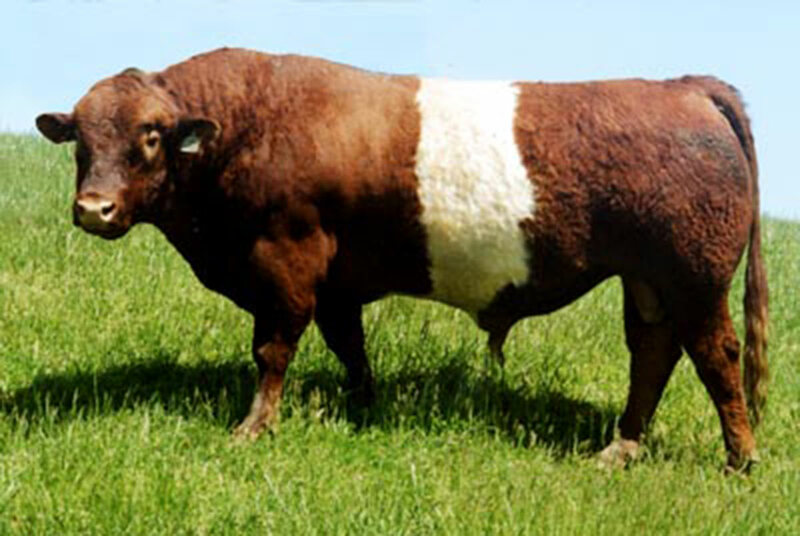 He sires a high percent of red Buelingo, but is not recommended for non belted cows. He is compact, very gentle and his calves are trim fronted with perfectly straight tops and huge Limousin hind quarters. More Cycle Progress sons have been sold for Buelingo herd sires than any DCCI sire. His birth weight was 72 lbs.